The expo includes Nutrition and health food, Healthcare product, Functional drinks, Organic and Natural products, Beauty and slim products, Sugar- free product, Diet therapy medicinal food products, Health products packaging, Health services etc. 3. Pharmacy chains, franchise house, community health service station, health club, fitness center, beauty salon, TV shopping channel, E- shop. 5. Customer service agency、 trade service agencies、 gift shop、 major group buying unit. Healthcare Food Expo for 11 years in Beijing and Shanghai. On the 2014 SBW Health Expo (Beijing), Perfect Co., Ltd 、SWANSON、The state of Illinois pavilion、China Oil & Foodstuffs Corporation、 COKOREAN GINSENG 、Mengniu Dairy 、Angel Yeast、Robinson pharmaceutical Inc、NOW FOODS、 ILERCAVONIA . S.L. from Spain, Hankintatukku from Finland, Far East Bio tech、Taiwan Pavilion、Korea Pavilion、Japan Pavilion 、European Pavilion etc. This Health Industry Expo attracted more than 900 exhibitors from 36 countries and regions. The exhibition area covered more than 35,000 ㎡, breaking the record of the previous Nutrition and Health Fair. During this expo，there were officials from 24 countries stationed in china and The Ministry of Health、The Ministry of Agriculture、The Ministry of Commerce、Development Research Center of the State Council and 40000 professional visitors from 28 countries have witnessed the unprecedented event together! Due to continuous effort and service innovation of Shibowei s staffs , the 2012 13rd Shibowei.Health expo was rated as the only one of the key exhibition in national health industry with the government subsidies. 2015 SBW Health expo will build a health industry stage combined with the world high end brand display、trading connection between home and broad. 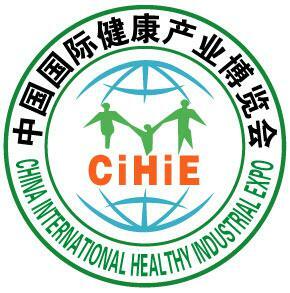 The 18th China International Nutrition and Health Industry Expo. it will be hold at April 16th 18th, 2015 in China International Exhibition Center Beijing.